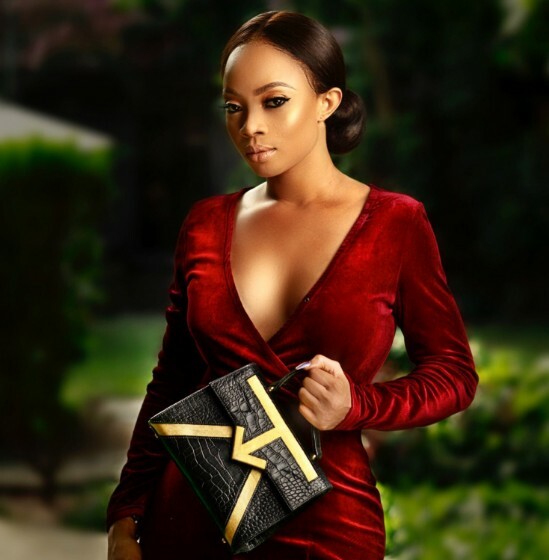 Media and On Air Personality, Toke Makinwa who has been accused of being in a romantic relationship with billionaire Festus Fadeyi by his children has reacted to the rumors. 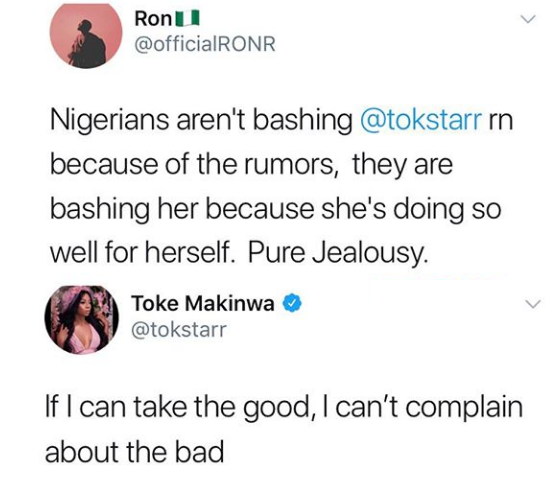 She reacted by replying to a Twitter user who said people are bashing her out of pure jealousy. 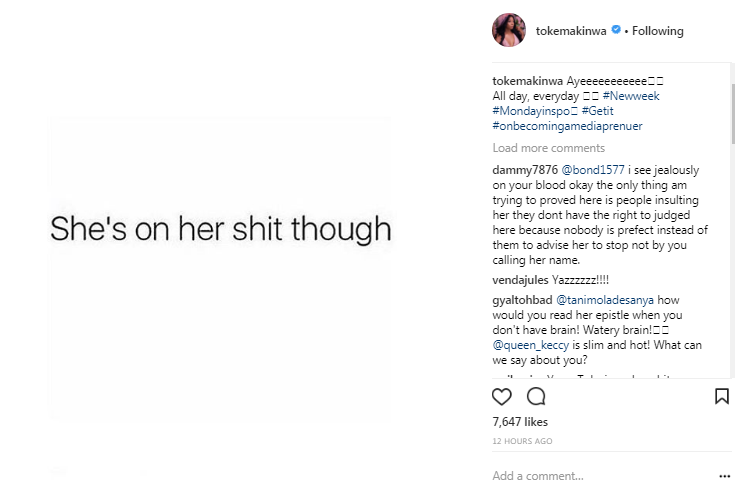 She also posted the cryptic message below this morning on her Instagram page.